It has been heralded as the last version of Windows you will ever need. This is great news for internal IT. Rather than large abrupt OS version updates such as the cumbrous leap between Windows 7 and 8, the Windows-as-a-Service delivery of Windows 10 will allow for regular incremental improvements and updates. The expectation is to eliminate the arduous elongated process of OS migrations that require significant planning, training and working hours. For those who need any further incentive, there is also the impending end-of-life deadline in January 2020 for Windows 7. 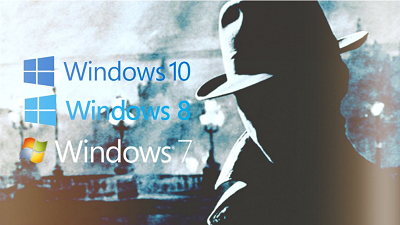 Of course, to get to Windows 10, you have to endure one final big upgrade. 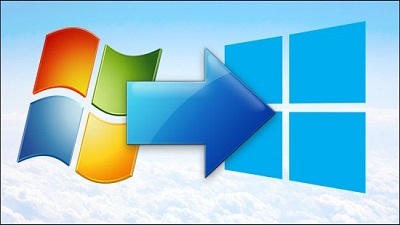 Fortunately, Microsoft has taken great strides to simplify the Windows 10 migration process. New deployment methodologies that utilize images, task sequences and provisioning packages make the deployment process far agile today. That does not mean there aren’t challenges in the process, however. The hurdles instead lie in the standardization of the user workspace. It is the details of ensuring that all those configuration settings, applications, printers and security protectants are delivered to ensure a secure productive work environment. A recent survey conducted by PolicyPak and GPanswers.com set out to learn firsthand about the experiences that businesses are having today in their Windows 10 migration projects. The survey involved over 500 organizations representing 30 countries and multiple industries. The organizations ranged in size from small businesses of less than 100 users to enterprises with more than 5,000 users. Continue on OUR FORUM. Microsoft plans to officially support "leap seconds" in Windows 10 and Windows Server editions, the company has revealed today. Leap seconds are one-second adjustments made to Coordinated Universal Time (UTC) in order to keep Earth time in sync with solar time. The reason why leap seconds appear is that of irregularities in the Earth's rate of rotation. Leap seconds have been accounted for since 1972, and they typically happen every 18 months. When they do happen, one second is added at the end of the last minute of the day the leap second happens, or one second is subtracted when the leap second is negative (has never happened). Microsoft and most software engineers have known about leap seconds for many years, but have not bothered to support them, with Linux creator Linus Torvalds once telling people to chill out about "leap seconds." But as software, and especially Windows, became part of our daily lives and our critical infrastructure, US and EU regulators have issued orders that any software that handles critical tasks must be able to synchronize to UTC time with a very low margin of error, so it can execute critical tasks in sync with other equipment. Complete details are posted on OUR FORUM. EU slaps Google with record $5 billion fine for antitrust violations. European regulators have hit Google with a €4.3 billion ($5 billion) antitrust fine for abusing the dominance of its Android mobile operating system. The fine was announced on Wednesday after the EU found the US company guilty of using its Android mobile operating system to block rivals. Google's Android operating system is the world’s most popular mobile software system, and is installed on more than 80 percent of smartphones globally. 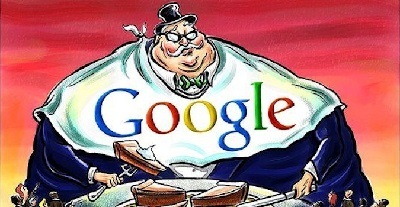 The EU said that Google must make competition fairer and allow smaller players to earn. The penalty from the European Commission is the highest antitrust violation fine that has ever been imposed on a company for breaching EU competition rules. The previous record was a €2.4 billion penalty on Google for manipulating search results to promote its own price comparison services over those from competitors. Shares in Google’s parent company Alphabet slid more than one percent in US premarket trading. The European Commission continues the investigation on a third Google antitrust case. Competition authorities have said Google could have used its AdSense advertising service to thwart rivals. Google is accused of blocking rivals in online search advertising. 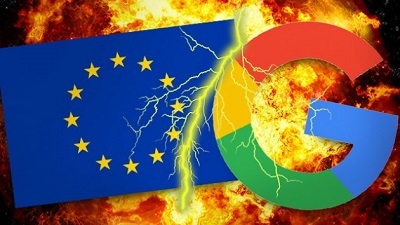 The Telegraph reports that the EU is expected to hand down a massive fine to Google Tuesday or Wednesday this week to punish the company for abusing its Android monopoly to strengthen its search empire, benefitting the company to the tune of more than $20 billion. Last year the EU fined Google $2.7 billion for its abuse of its search dominance to push its comparison shopping service. The European Commission is empowered to fine Google up to 10% of its annual turn-over, or around $11 billion, and the new fine is expected to eclipse that sum. Besides the fine, the EU is expected to ask Google to suggest remedies to correct the situation, which uses agreements with OEMs to reduce access by rivals to the powerful default positions in the Android operating system. With Microsoft however increasingly building their platform on Android, the ability to offer competing services without losing access to the Google Play Store, for example, would be an ideal solution, allowing Microsoft for example to partner with OEMs such as Samsung to replace the Google Search bar with Bing and Google Mail with Outlook. If forced to unbundle their services from their apps, for example, Microsoft could also ship an Android phone with the Google Play Store, but with Edge and Launcher set as the default applications on the device. Get caught on OUR FORUM.